← A New Year Message to the World – Is anyone listening? Pour 300 ml of water into a cooking pot and add the gelatine sheets. Leave it for about 5 minutes, then heat the pot on medium heat and stir gently until the gelatine melts. Add the sugar and stir until it has dissolved. Increase the heat and bring the mixture to a boil, then reduce the heat and simmer it, stirring occasionally, for about 20 minutes. 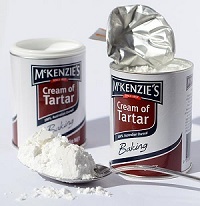 Mix the icing sugar, corn starch and cream of tartar in a bowl, then stir the whole lot into the sugar/gelatine mixture. Remove the pot from the heat and add flavouring essence and food colouring. Pour the syrup into a big enough non-adherent baking dish and leave it in a cool place over night. Remove the hardened mixture from the baking dish and cut it into small cubes using a wet knife. Place icing sugar in a bowl. Roll the Turkish delight cubes in it until they are evenly coated. 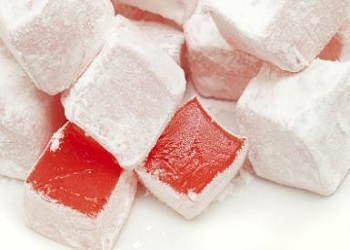 You can store the Turkish delight in an airtight container in the fridge for up to 1 week. 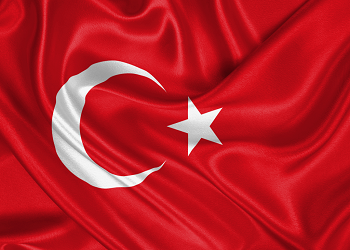 This entry was posted in Chef's Choice and tagged Chef's Choice, Lokum, turkish cuisine, Turkish Delight, Turkish Recipes. Bookmark the permalink.